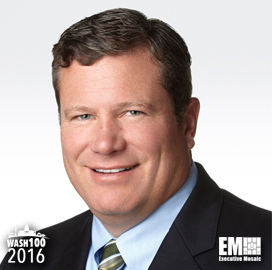 Executive Mosaic is glad to announce Steve Harris, vice president and general manager of the federal systems group at Dell, as the newest inductee into the 2016 edition of the Wash100 — Executive Mosaic’s annual selection of influential leaders in the government contracting industry. Harris was appointed to the role in 2014 at Dell Federal Systems and oversees the technology maker’s work to implement information technology and other related platforms for U.S. federal government and military clients. Our sister site ExecutiveBiz spoke to Harris in September 2015 for an interview to discuss trends in the federal IT market and how agencies are allocating their resources toward the creation and adoption of new technologies. Decisions on next steps in enterprise IT should be a collaborative effort between leaders on both sides of the public and private sectors from the outset, according to Harris. “CIOs and other senior leaders in agencies must share responsibility in a people-process-and-technology discussion on decisions, practices and policies across every person in the enterprise in order to become a truly secure agency,” Harris said to ExecutiveBiz. The 17-year company veteran spent five years as assistant vice president of Dell’s state and local government and education business prior to his appointment in the federal systems group. He also held the roles of public business group executive, account manager and region sales director for the company’s SLED organization and healthcare customers. Executive Mosaic congratulates Harris and the Dell team for their selection to receive this award.